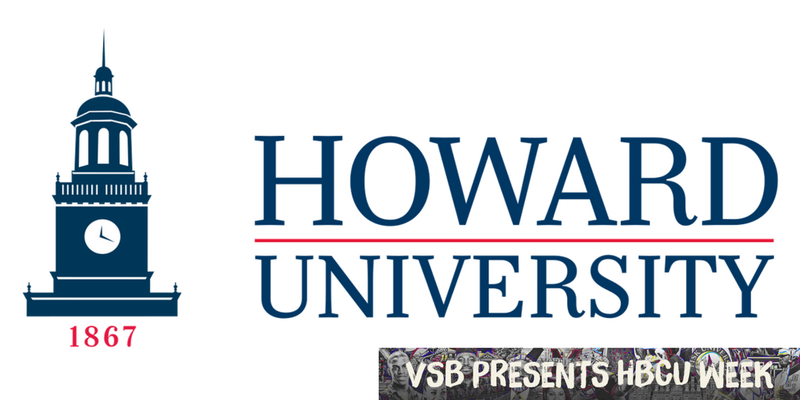 What can you say about Howard University that you cannot say about other HBCUs? There are the facts—facts that make the mecca historically unique. I mean, who else can say they have the same alma mater as Thurgood Marshall and Diddy? Only Howard alum can say that. Who else can say they attend a school that gets ranked on lists ranging from best-dressed colleges to best schools, HBCU or otherwise? Howard alum and students can. Who else can hear their school shouted out on songs by artists like Drake, Biggie and Young Jeezy, then hear Ta-Nehisi Coates give the school’s call at a reading for his new book We Were Eight Years In Power? I can. When someone says Howard University is the best, you either roll your eyes because you’re a hater or you smile because you love the sweet sound of the truth. But no games, I’ll put Howard’s history up against anyone who wants it. The real HU, my HU, has educated and cultivated some of the greatest minds in our nation’s history, and even if you somehow get it twisted and land on a school other than Howard when discussing the best HBCUs, Howard is always in the conversation. I have been having this conversation about why Howard University is the best HBCU since I enrolled there in 2000, which makes me old and the conversation old. I learned a long time ago that you can’t spell HBCU without the HU—you can’t talk about HBCUs without the HU—so at this point in my life, I’d rather try to tell a dog it’s a cat than try and convince you why the real HU is in the top two and it’s not No. 2. For anyone who disagrees, I pray for them and then chuckle knowing good and well that when they die, they will realize just how special Howard University is because I’m pretty sure our yard is in heaven. Howard University is the Wakanda of the real world: the place where real-life black heroes graduated, and I would name some of them, but if you know your black history, you know Howard University. Was it perfect? No. Lord knows when I was attending Howard, the classroom wasn’t the only place where I got tested. School administrators tested me. Some of the school’s janky equipment tested me. The dorms tested me. I would never lie and say Howard had no problems. It had plenty, but it never took from me more than it gave me. For every issue that arose, there was a greater experience on the other side. I went to Howard when the dorms still didn’t have cable (I told you I was old), but I stayed in Drew Hall, and anyone who has ever stayed there will tell you there was nothing on TV better than the shenanigans we got into in Howard’s infamous male-only freshman dorm. I had my fair share of beefs with administrators in the A Building, but whenever I left, I knew I could walk right over to the School of B and get a warm piece of coco bread with butter and jelly. In the Punch-Out—the smaller cafeteria that was adjacent to the larger café and was the original inspiration for the Peach Pit on A Different World—they never had anything I wanted to order. Burgers? Out of them. Chicken fingers? They’d go check, and they were out of them, too. Fries? Yeah, but not that many and they were all soggy. I’d take them and barely eat them because I’d end up arguing with friends about who was the best MC and cracking on someone’s shoes for 90 minutes. There were also all the late nights I spent working at the Hilltop or drinking at the Common Share, the unofficial Howard bar in the Adams Morgan neighborhood of Washington, D.C. And of course the yard, a place where, when I close my eyes and think about it, I really can cry from happiness over what I saw and felt standing in front of Blackburn or Locke or Douglass. And yet, none of the memories that I got out of Howard University were the reasons I enrolled at Howard University. I came to Howard University a teenage kid from a small California town called Seaside in search of a relationship with my father, a Howard alum who was out of my life by the time I was 3 years old but just so happened to be living in D.C. when I would be starting school there in the fall of 2000. During my orientation week, I had a chance to sit with my father, and he told me he was sorry that he wasn’t in my life growing up. It was an apology I almost accepted until he joked, “At least I gave you a good mother.” The audacity was offensive. He wasn’t lying about my mother. She is indeed my angel on earth, a woman I am lucky to call Mom, but to think he had anything to do with her success in raising me was a reach that made me decide right then and there I was never going to have the relationship I was hoping for with him. So instead of learning about who I was through my father, I learned about who I was at Howard University. I did this not just through my professors, but also from the men and women who sat next to me in class and lined up with me for demonstrations to protest about everything from police injustice to rising tuition costs. I learned that diversity was not just about black and white but also about African and Caribbean and African American and Haitian, Latino and so much more. I learned about this country’s history from the lion’s perspective instead of the hunter’s. I learned about love from the women I dated, and from some of those same women, I learned about heartache, too. I learned about more than friendship—I learned about brotherhood from the bonds I forged with many of the men I met when I moved into Drew Hall. I learned that you don’t need to have a lot of money to have the time of your life, but you can look fly if you have a little bit of money. Most of all, Howard taught me that God doesn’t make mistakes. I made peace with my father before he passed. I love him very much, but God didn’t put me at Howard to be close to my father; he put me at Howard because he had another family for me to get close to, and that’s the Howard University family.